My Trillium is just wired for a four way plug, although the main harness is set up for seven wire operation. The old 41 year old four way plug was beat and not hooking up well. Myself, I prefer the round seven way plug anyway, so I did the swap. The original harness had obviously drug on the ground, so that determined where I was going to cut it. I picked up a seven way plug, with a four foot cord and a waterproof junction box on eBay for $19.99. Since the box alone goes for over $10, I thought it was an excellent deal. Longer cords can be had for more $$, but I didn't need a longer cord. I mounted the box to the side of the frame near the tongue. I have about 16 inches of cord beyond the center of the hitch ball, so that should be more than enough. I only hooked up the four wires. The rest end at the box. One nice thing about this setup, if the cord or plug ever has a problem, just attach a replacement into the junction box. Well done. 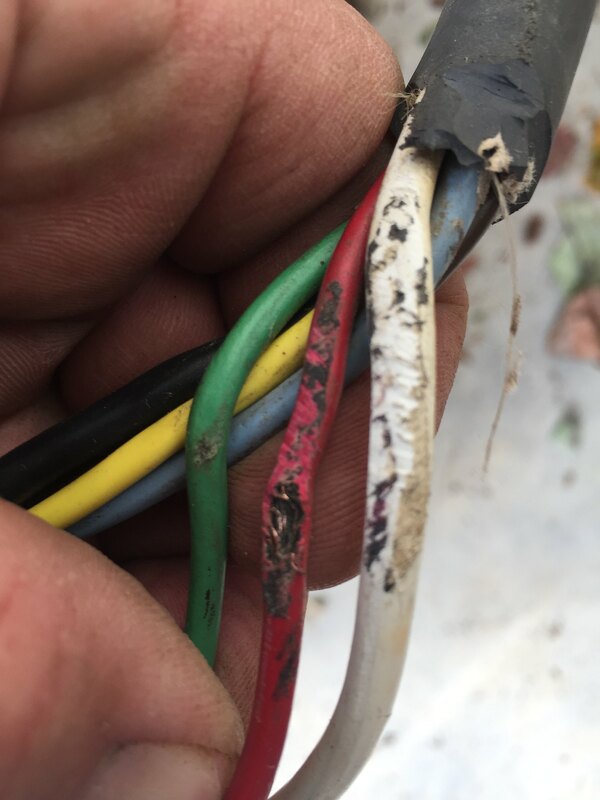 So many people cobble electrical and make a mess of it, then complain when circuits are problematic. Your solution is nice and tidy. 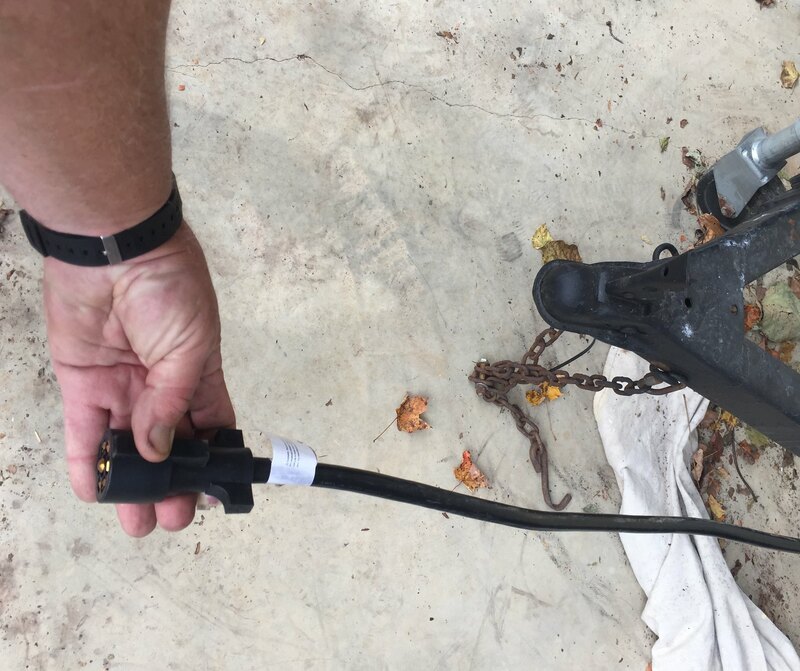 Please tell us your next project was replacing those unsafe safety chains - YIKES!! Nice setup Thrifty, I did nearly the same but my connection box is behind my refrigerator inside with outside access. 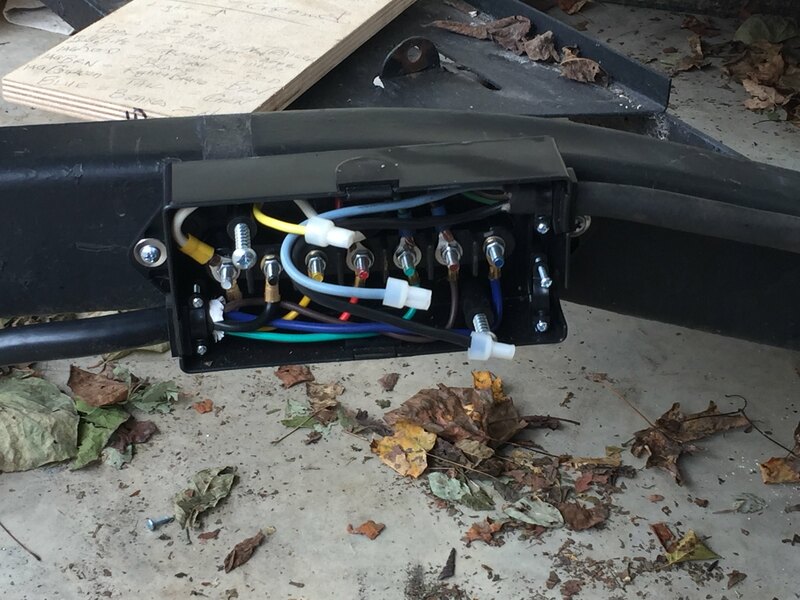 I also fixed 7 pin plug to trailer and use a extension 14" for connecting tow vehicle. Yes, new safety chains are on the list. Pretty long list right now, but I have done a bunch too. Safety chains and LED interior lighting and then its ready for its first camping outing.